Welcoming porch made bright by way of multi-aspect UPVC double glazed windows. Having laminate flooring and with internal door leading to the entrance hall. Spacious entrance hall benefiting from a generously proportioned storage cupboard beneath the staircase. 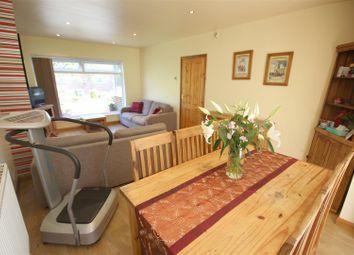 Having laminate flooring, gas central heating radiator and carpeted stairs rising to the first floor landing. 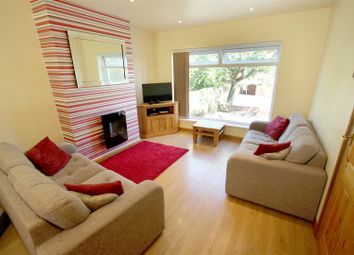 Wonderfully appointed open plan living/dining room with large front facing UPVC double glazed window unit. Having laminate flooring, wall mounted electric fireplace, gas central heating radiator, halogen spotlighting and rear facing UPVC double glazed french doors opening to the conservatory. 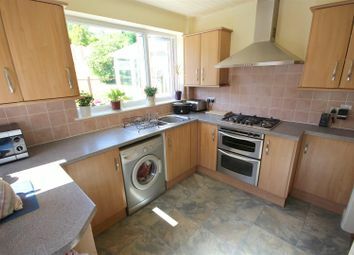 Beautifully designed kitchen enjoying views of the gardens via the rear facing UPVC double glazed window. Having wooden effect wall and base units with contrasting stone effect counter top incorporating a stainless steel one and a half bowl sink and drainer, 5 ring gas hob with double cavity fan assisted oven below and stainless steel illuminated extraction unit above. 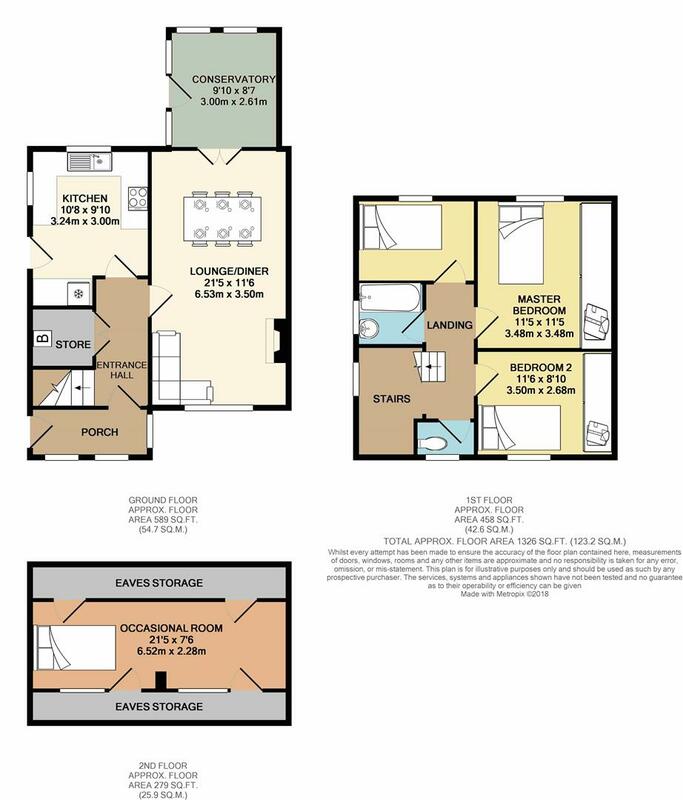 Also having space for under counter washing machine, integrated fridge/freezer, tiled effect laminate flooring and side facing UPVC double glazed door leading to the garden. 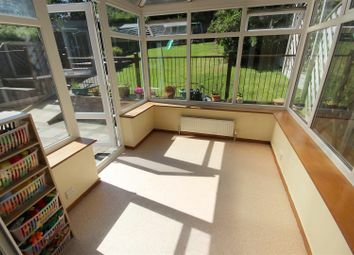 Bright and airy conservatory enjoying multi-aspect UPVC double glazed windows overlooking the garden and patio area. 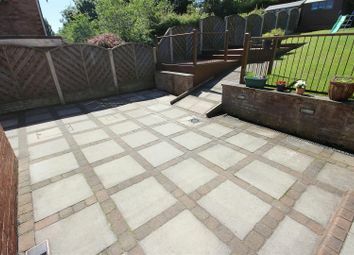 Having mosaic effect cushioned flooring, gas central heating radiator and side facing UPVC door opening out to the patio area. Having carpeted flooring, side facing UPVC double glazed window and timber step-ladder leading to the occasional use attic room. 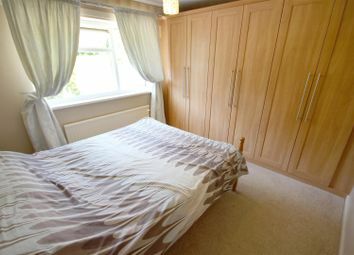 Good sized master bedroom enjoying plentiful storage in the form of fitted wardrobes to one wall. 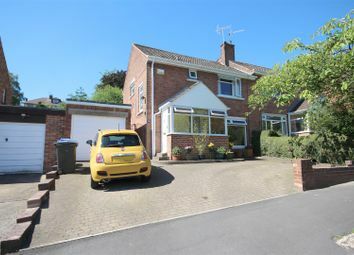 Featuring carpeted flooring, gas central heating radiator and rear facing UPVC double glazed window unit. 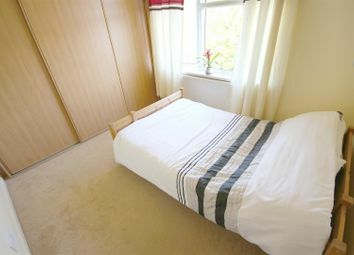 Spacious double bedroom with fitted storage wardrobes to one wall. 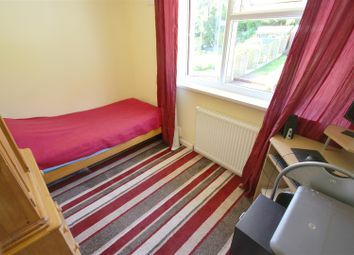 Having front facing UPVC double glazed window unit, carpeted flooring and gas central heating radiator. 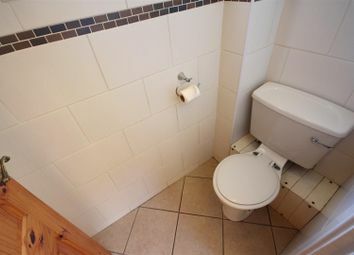 Well appointed single bedroom having rear facing UPVC double glazed window unit, carpeted flooring and gas central heating radiator. Fully tiled family bathroom having vanity sink unit, panelled bath with electric shower above, chrome heated towel rail and side facing obscured UPVC double glazed window. 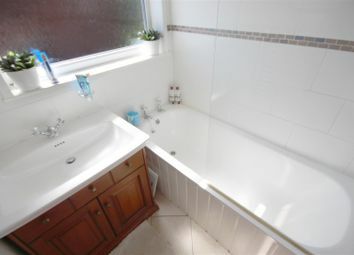 Fully tiled separate WC with hand wash basin, toilet and front facing UPVC double glazed window unit. 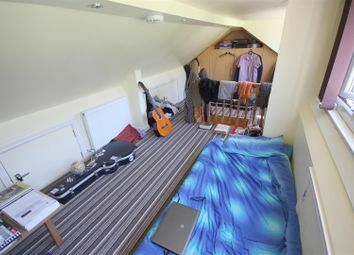 Impressively sized attic space enjoying 2 large rear facing UPVC dormer window units. 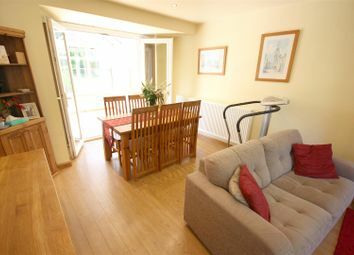 Having integrated storage units, carpeted flooring, halogen spotlighting and gas central heating radiator. 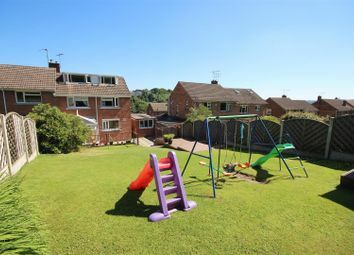 To the front the property enjoys a large paved drive with space for two vehicles. 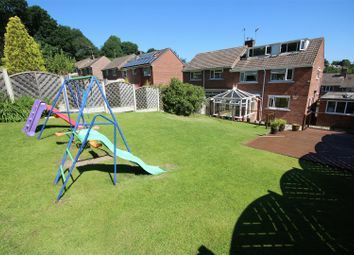 To the rear the property enjoys a wonderfully landscaped garden with large paved patio area, lawn and shed. A good sized storage area providing space for a vehicle, having up and over door, power and lighting. Want to know what people who know the area really think? Use the link below and see all the results for S11 area.